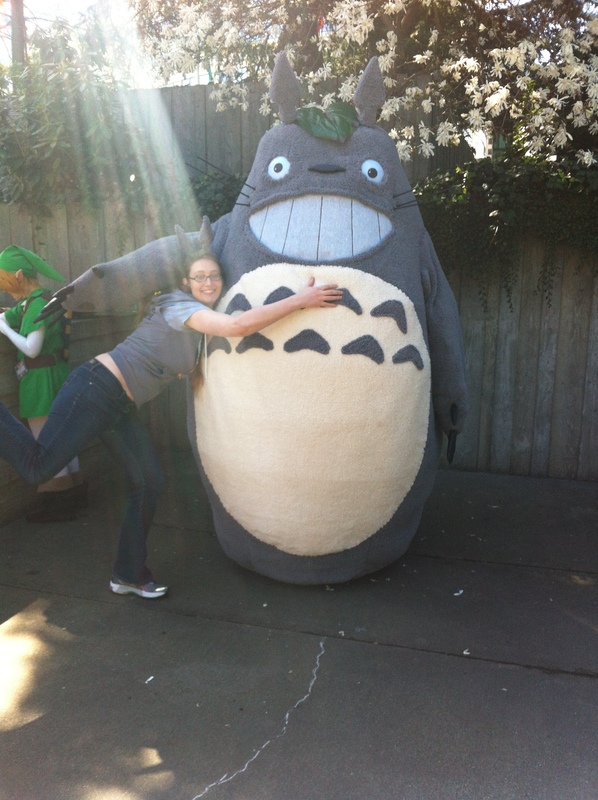 I said “YES! 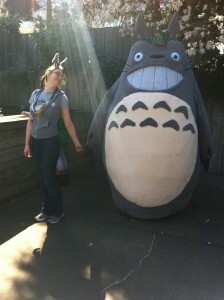 Of course, I would love to see you and see Totoro in the flesh.” Their Totoro is pretty amazing and some fabulous folks (who I’m not sure if they want to be named or not) spent about eight months building Totoro (and have been refining him since he had is debut at Dragoncon last year). 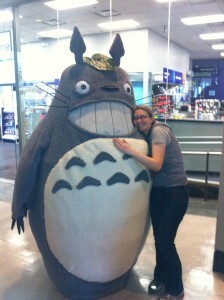 I had yet to meet the excellent fuzzy chap in the flesh. 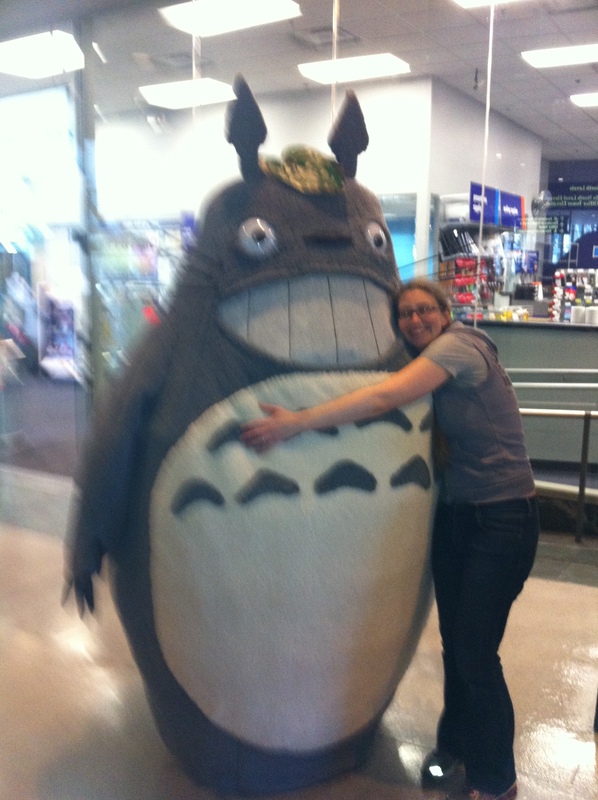 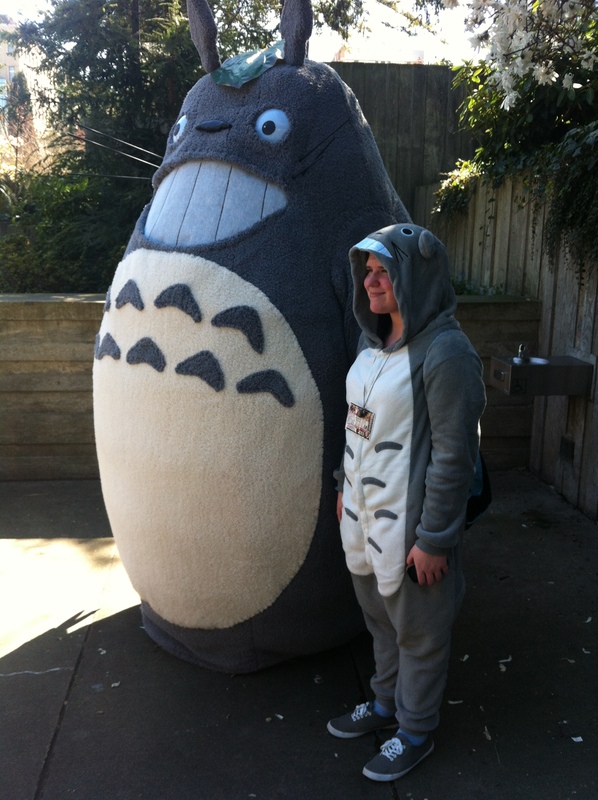 I helped with Totoro security, had a grand time looking at all the gorgeous costumes AND??? 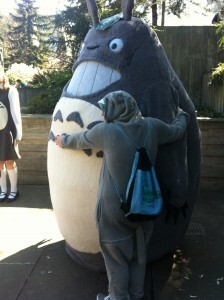 I got to have a turn putting on the grey suit myself!!!!!!! 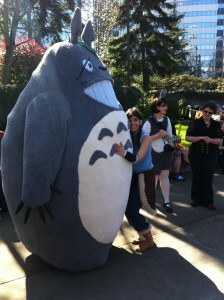 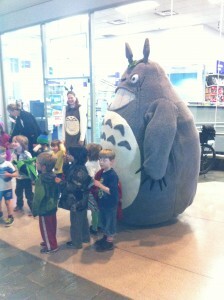 I got to be an enormous Totoro puppet!!! I wiggled my ears, bounced, bowed, wandered the crowd, hugged people, waved (the most technically difficult of procedures) and got hugged many many times. It was the best and I was a little sad when it was time to stop. 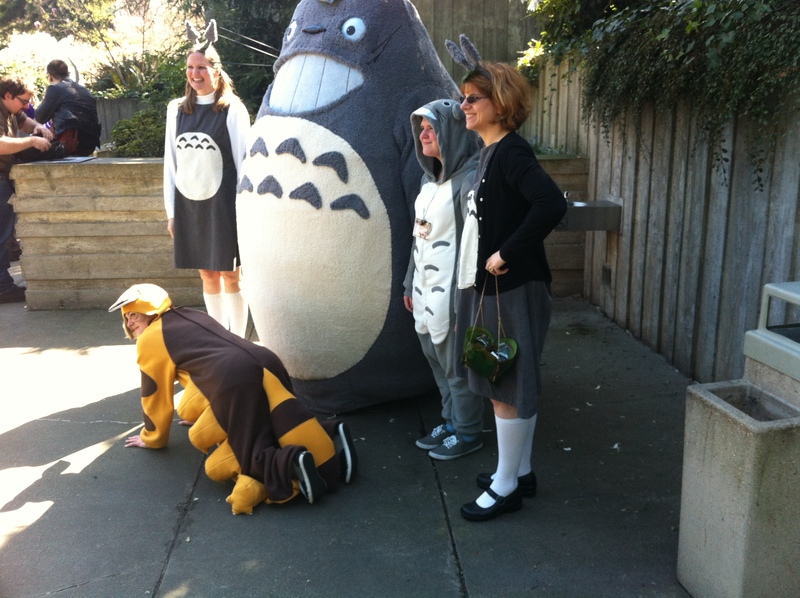 The best part of being part of the Totoro posse (inside or outside of the suit) are the sudden gasps of delight as people turned corners and saw us. 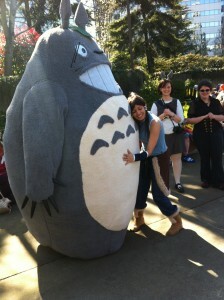 Truly, to be near Totoro is to be near joy ^_^. 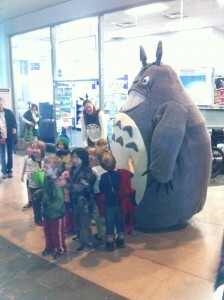 ... and then everyone wanted to take pictures of the adorable small children. 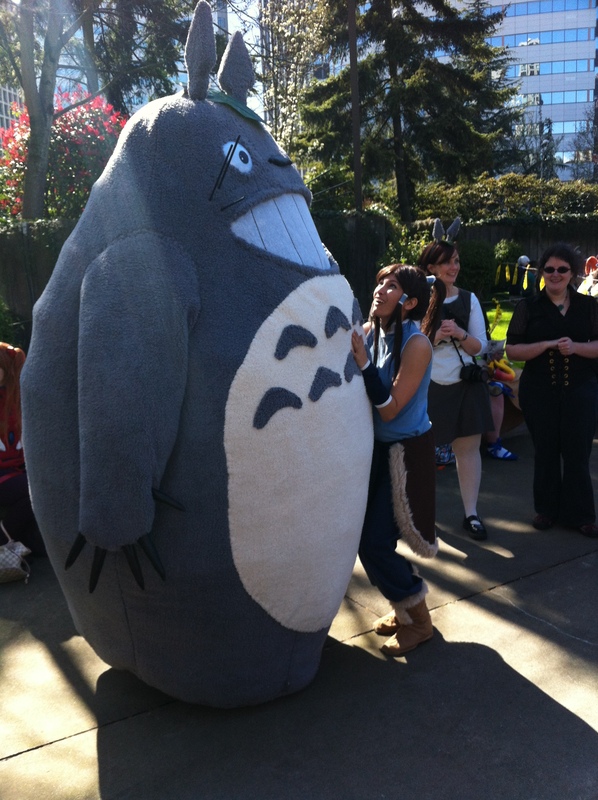 Totoro Totoro Catbus Totoro Totoro. 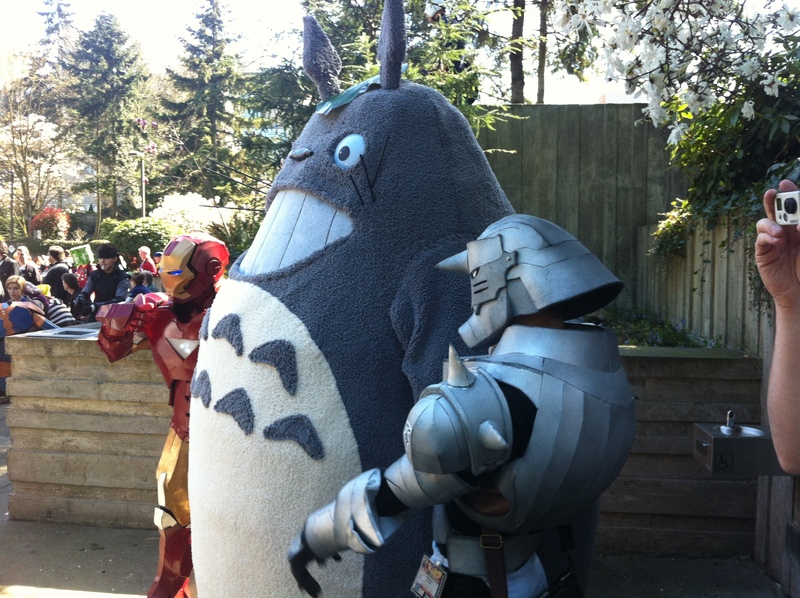 KORRA!!!! <3, Korra is my hero.